This June we had thousands of page views on our website and inquiries from Belgium. Here's the reason why. 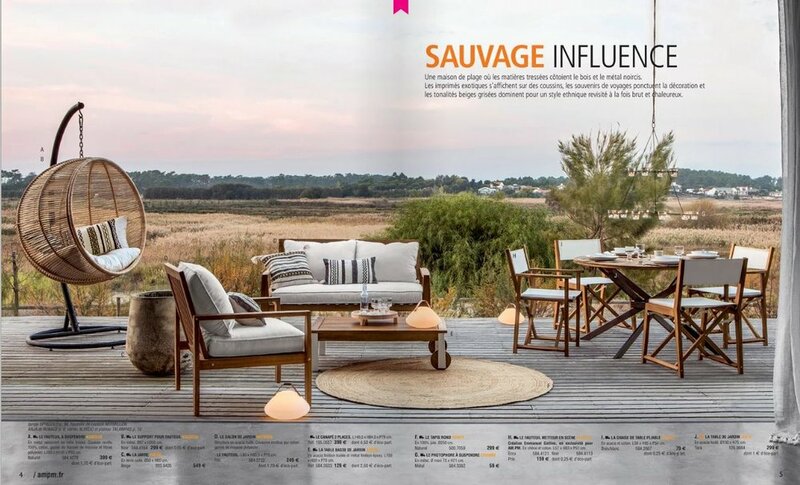 Casa do Pego is featured on "Sabato", the weekend magazine from De Tijd newspaper. The article is about journalist Veerle Helsen and her new book - Surf & Stay. You can read the online article here. Or you can access a PDF of the article here. Last November, Casa do Pego was stormed by a 4 truck convoy with hundreds of pieces of decoration and a team of 8 amazing professionals. For a whole week, our beach house was turned upside down and transformed into a set for shooting the magnificent pieces of the latest AM.PM catalogue from LaRedoute. Full catalogue available online here. It's also available for PDF download here. Another post that makes us really proud. This month, Casa do Pego is on Wallpaper Magazine. A hectic day that started really early in the morning. A handful of vans and trucks, dozens of crew members and production paraphrenalia- Thank you Manutti team for the charm and professionalism. The result stands out. It just feels like the new SAN line of Manutti Outdoor was meant to be placed at Casa do Pego. Organic textures, unpretensious decor, embedded in our see-through beach house. A true labour of love. Casa do Pego on Boutique Homes. This week we publish our short interview so you can know a bit more about ourselves. "Draw a triangle between a rice field, a pine tree forest and the Atlantic ocean and build a house inside! This is Modern by the Sea, a contemporary home where the exceptional sounds and light of the Alentejo and the nearby ocean create a relaxing place. Andre, journalist and executive producer for a Portuguese TV channel, comes here with his family whenever they can to enjoy a holiday or weekend together while the rest of the time, travelers from around the world benefit from this tastefully designed house near Comporta." Architectural Travel Jewels "Where Architects Stay"
Casa do Pego is featured in the new book by Sibylle Kramer! We are very honoured to be amongst the most inspiring houses worldwide. The books will be available in many bookstores but you can also buy them online as well as on the website from Braun Publishing: www.braun-publishing.ch or at www.amazon.com. A great Christmas gift... Enjoy! This week, Casa do Pego is one of the top choices at THE SPACES as one of the 5 modern holiday homes in Portugal where to soak up the last of the sun. Casa do Pego has released a new video. It was shot in full HD with a drone and it shows a whole new perspective of Casa do Pego and it's amazing surroundings. You can watch it below or on our VIDEOS section. Please let us know your opinion on it. Casa do Pego highlighted in Corriere dela Sera. "On Stilts: Casa do Pego"
This week, Casa do Pego is featured in the austrian newspaper KURIER. The article, about design-houses and places for holidays was written for IMMO, the Austrian magazine about architecture, design and living that comes with Kurier. 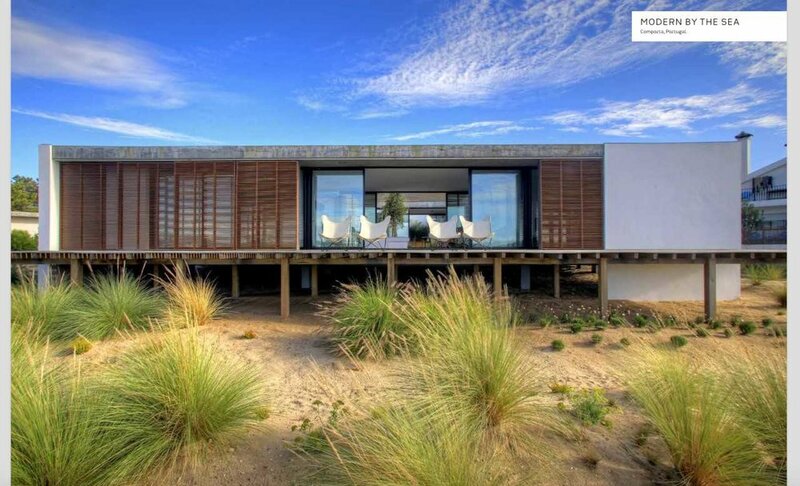 This week Casa do Pego is featured in The Spaces, the great architecture website. The article's name is "8 beach holiday villas you'll never want to leave - Where to soak up the sun"
FD.NL - This week's edition of the Dutch Financial Times (Het Financieele Dagblad) features Casa do Pego in the FD Persoonlijk supplement. This text is an automatic Google translation from dutch to english with some obvious errors. The original online article can be found here. PDF file for the whole article can be found here. Dwell magazine asked their readers to share their homes with them. The editors received around 1,500 submissions and they chose the best to showcase in this special issue. 156 pages of striking modern spaces from more than 16 countries. 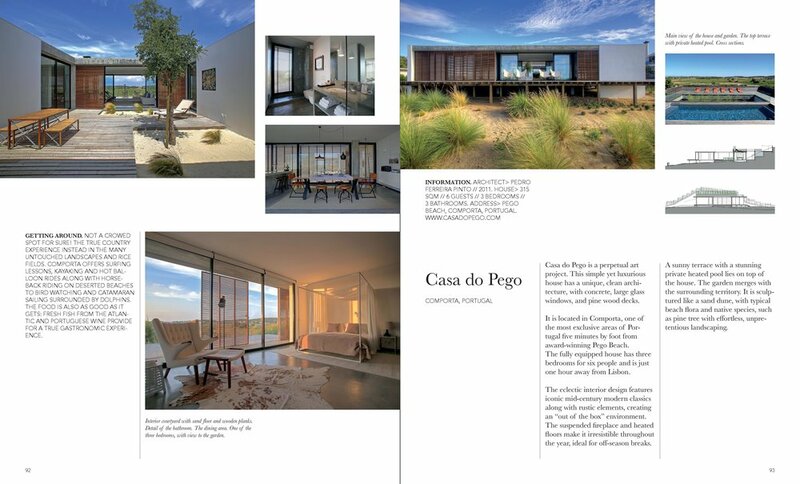 Casa do Pego, in Comporta - Portugal is featured in this April's special issue of Dwell. Check page 78. July 2014 edition of Condé Nast Traveller dedicated an issue to Comporta and selected Casa do Pego as one of the best places to stay. The sleepy fishing villages of Portugal’s Herdade da Comporta have always been where the fashionable European crowd goes off the grid. Now that new hotels and rental villas are emerging among the dunes, Maura Egan finds that this hush-hush coastal retreat has become more open to visitors—without losing its under-the-radar cool.